DID PAUL MCCARTNEY DIE IN CAR CRASH? I expanded on the topic of the earthquake and tsunami I was told is coming for New Zealand. It’s going to potentially affect a lot of people living on the coast there. Also delved into South Africa’s probable future. I did four shows with Dr. Simon Atkins recently. Here are some of the links: http://tinyurl.com/j4qu4bd, about Atlantis & Lemuria. http://tinyurl.com/j8x48co is all about the FIRST CONTACT book. The week before -- http://tinyurl.com/zkatxdp. We discussed past and future lives, reincarnation, and much, much more! They are all video interviews we did on Skype. They have been quite well received. THE GENTLE WAY I: Helena in London wrote: What a fantastic book! From the moment I opened this book, I could feel the energy pouring out as I turned each page! The Angels were most certainly with me! I have been very successful with “MBOs.” I have had so much fun with my family & friends. If I needed to ask any questions, Tom was always quick to respond! I could list many things that have happened to me requesting most benevolent outcomes! I love Tom T. Moore’s work. Very easy to read and most enjoyable book! This book brings joy & laughter into your life! I could go on & on praising this book! Jen and Ako wrote: Help yourself! Very easy to read with great examples and wonderful suggestions to love your best life! I bought all three and read in one weekend. ATLANTIS & LEMURIA: JS wrote: Fascinating, would recommend to anyone with an open mind. Amanda writes: There is an NZ Maori elder who predicted a tidal wave overcoming Wellington down to Kaikoura and he predicted a lot of deaths. So, I was curious to see if it was similar. I will ask for a most beneficial outcome for the situation. Gaia, did I receive correctly that it would be Christchurch, NZ, that would be near the epicenter of the major earthquake or could it be Wellington on the North Island? They will certainly be a little affected by the tsunami and, yes, even by the large earthquake, Tom, but I previously gave you the correct information regarding the epicenter. What is the probability of the large earthquake occurring in the first six months of the year? Almost zero, Tom. It will occur in the last six months of 2017. What month, then, can we say has the highest probability of the large earthquake and tsunami occurring? August will be quite close to the date, Tom. You can ask again, if you wish, in several months as I am working with the souls who will be affected so that all will be in place. How far up New Zealand’s South Island coast will the tsunami reach? Fairly far up and down the coast, Tom. This is a major event for them and all of the communities living on the coast should plan now so that when they feel the ground shaking, and even far down the coast they will feel it, to immediately head for higher ground or else they will be caught in the tidal wave that will sweep inland. It is true that it will not have the height of the one in Japan, at less than 15 feet, but that height is sufficient to sweep and surge inland. Just imagine, if you will, that a structure sits on the coast at five feet above sea level. The tsunami will be at a height of almost the top of the first floor, not to mention taking cars and people along with it in the streets. As there are not too many people that read your newsletter in New Zealand, I’m not too concerned that people who are supposed to be caught up in this event will not still be in the area. So, it will also affect up the coast too, and what about the southern part of the North Island? Yes, up the coast too, and as far up as Wellington, just not at the level those to the south of the epicenter will be affected. Would you say that the maximum for Wellington would be five feet or less? You can use that figure, Tom, although it might be a tad higher. So, I wish to make sure I’m not focusing on a small probability, as has happened in the past. This is a high probability or low one? No, you have received me correctly, Tom. This is a high probability event—well above 80% at this time. Paul in Australia writes: Can you ask Theo or Gaia, what is the highest probability that humanity can raise its consciousness to a level that ameliorates the need for devastating earthquakes and volcanic eruptions within, say, two years, and further out, say, five years? I appreciate that quakes and eruptions are a normal part of Gaia's "growing," but the devastation to deal with it created the negative energy. Gaia, will you continue to have earthquakes and volcanic eruptions over the next few hundred years? Yes, of course, Tom. The Earth is a living entity. What will change will be the human species’ ability to predict these events and not be caught up in them as you are in this time period. Houses in earthquake-prone areas will be much more structurally sound, or there will be laws in place that houses cannot be built in these areas. Houses that are occupied in earthquake-prone areas will have devices to warn the occupants that an earthquake is imminent and will evacuate in time so that there is little or no loss of life. For volcanoes, it will be a similar situation. No buildings will be allowed to be built near the volcanoes, and those that are occupied will be given sufficient warning to evacuate prior to the eruption. Then, the earthquakes and volcanic eruptions will stay at the same intensity as they are now and will not decrease? Quite correct, Tom. All of this is set up, you could say, as teaching purposes so that those in these occupations as volcanologists and geologists will always have something to study and learn. This will carry over as you explore other worlds and see the similarities and differences between your planet and others. Lauren writes: Was hoping Gaia could shed some light on the mysterious Sandy Island close to Australia. Did it ever exist? If so, did it just erode away over time or did something else happen? It's odd that an island the size of Manhattan could seemingly disappear without a trace. Gaia, did Sandy Island ever exist off the coast of Australia and if so, what happened to it? Yes, it did exist, Tom; as you might imagine, the same thing happened to it that happened to the land mass off the coast of India. Both were low lying, so when the oceans raised, first, 41 feet and then another 170 plus feet, the land went underwater. Were there people living there at one time? Yes, they lived on the coast in small communities. Most perished, just as millions of others, when the waters rose. Gaia was referring to, first, the sinking of the six Atlantean islands, including Poseidia and Aryan, in their horrific war 12,500 years ago; and then again when the Lemurians blew up their MU continent with hydrogen-sized bombs 7,500 years ago. Busi in South Africa writes: The ANC lost significant support in our recent local government elections here in South Africa, with four key metros falling into the hands of the opposition. Many voices have called for President Zuma's resignation, but this call seems to have fallen on deaf ears. Can you ask your guides if President Zuma will finish his present term? Will the current deputy president succeed him, as he is more popular and well respected, or will we have a woman president, possibly Nkosazana Dlamini-Zuma? Also, what is the probability of the ANC losing the next 2019 national elections? What does the future hold for the ANC - are they headed for the opposition benches permanently or will they eventually fade away? With the political landscape changing, will South Africa retain the relative peace and stability it has worked so hard to attain or go the route of countries like Zimbabwe or worse? The drought seems to continue on this year, Tom. Can you ask Mother Gaia what we can expect this year as far as rain is concerned? We say benevolent prayers every day, Tom, and it’s amazing how well they work. Gaia, how long will the drought in South Africa last? This will continue for the next year; may I remind your readers, Tom, that this is part and parcel of my cycles. Then they will have the start of a cycle of copious amounts of rain bringing floods to parts of the country. Theo, what is the probability of the South African President Zuma resigning before the end of his term in office? Almost nil, Tom. He enjoys the power too much to give it up. What is the probability of the Deputy President succeeding him? Fairly low at this time. Less than 10%. What is the probability of Ms. Dlamini-Zuma being the next president? Higher at this time as she would be considered a rising star in her world. Put the probability at 30%, but rising. What is the probability of the AMC losing the next election? Quite high, Tom. More than 50%. The country grows tired of the corruption and shenanigans of these leaders who are not up to the level of their beloved past president. What is the probability of the ANC fading away? It will continue, but not in its present form and power. Will South Africa remain stable? Yes, but with the typical (for them) rallies as new leaders will make themselves known. For my new readers, Antura is my ET buddy who is an amphibian having a life on a water planet in the Sirius B Star System as part of a “first contact” team. He’s had 800 lives on Earth so far and is a member of my soul group or “cluster” as Theo calls them. Theo introduced him to me back in 2008, and he says I’m going to shoot a documentary on his mothership in the next year or so. You can read more about him in my book FIRST CONTACT: Conversations with an ET. Here are a couple more questions this week. Antura how many solar systems does the Federation encompass? Many more than you might initially think, Tom. Quite so—more on the number of 75. You can check back with me and we can see if we can narrow it down. As I have mentioned before, even in our region of space there are over 20 planets. Most have at least one society that is a member. Why was the Federation chosen by the Creator to take part in the Earth Experiment? The Creator knew our capabilities and that we would serve the Experiment at a high level. After all, we had a number of souls that wished to raise our vibrational levels to a higher level. Two weeks ago I asked for an MBO that my stepdaughter would be the one who received the OK to buy a smaller condo unit. Our area is a “Hot” market, so too it is a vendors’ market. Her offer was chosen out of the five offers that were received for this condo unit. Now, I am asking an MBO that she sell her house quickly, as it goes on the market tomorrow. [Update] My stepdaughter’s house sold, plus she received $20,000+ over the asking price with a firm offer. The house was on the market for 2-1/2 days!! So, those MBOs sure work! I am saying many thank-yous! My college-age daughter moved from the dorm to her first apartment. Her rent was due and because the girls had not set up a payment process yet, it got late. I told my daughter we had better send it quickly. The lease agreement read, “$50 late fee if check not received after the 1st of each month, $5 additional each day after the 5th of the month.” So, that late fee could add up quick if you were late. I then wrote a check for $1,575 (total all roommates) and rushed to the post office. As we had got a late start this month, it was Aug. 29th and Sept 1st was in three days. I was nervous at the post office that it would be late and I would have a $50 late fee. So, they suggested I pay an extra $7, roughly, to do two-day air by the Post Office. She is in college in a different state/city. I did and was confident it would arrive a day before the 1st. I left, lost the receipt and thought nothing of it until we were contacted by the management company that we had not paid by Sept. 9th. Eeeek, the late fee specifically said add $5 each day after the fifth of the month. It was the weekend and I had no idea what happened to the two-day air, and had foolishly had not kept the receipt. Now, I was in the position of contacting the bank to do a stop payment on the check (add another $25.00) and paying about $75 in late fees to the apartment management company. Additionally, we had to contact the management company and issue a new check. Very embarrassing and all of the roommates had already paid me and were all getting notices of late payment. On Monday early, I called the management office and was told the manager had just stepped away and would call me back, but, yes, they only showed there had been no payment. I fully expected to have to do a stop payment, write a new check, write a separate check for late fees, stop check fees, etc. Instead, the manager called me back and said the check in the two-day air envelope had arrived THAT day on the 12th of Sept., just AFTER I called about 15 days after it was sent two-day air. She could see it had gone to several cities and states it did not belong to, thanks to tracking labels on it, yet was perfectly addressed to their office. She said it was the strangest thing ever and since it was clearly addressed perfectly and paid in full, she would waive all the late fees. I had sent it the 29th of Aug as it showed. I was relieved to have no more paperwork and felt vindicated. Odd; I usually have great luck with two-day air at the post office, but, no matter, as long as I have MBOs. I love those MBOs!!! And thanks for sharing it all with us, Tom. Casey writes: I asked for the Most Benevolent Outcome to a better job and my agent called saying the TV show Criminal Minds wanted me to come into the studio and read for a part! I'm an actor and this is the dream job! I am now on “Avail” awaiting final booking! I am happy and truly amazed; this really works! Charlie writes: I would like to know if Sergei Eisenstein, the film director, is incarnated now, and if he is anybody famous? Theo, is Sergei Eisenstein, the film director, incarnated now? Quite so, but he has yet to be of age to be known. He will emerge to carry on his work as an artist. Mike in the UK writes: I'm absolutely disgusted and enraged at the evil scumbags who hunt animal such as Lions, Tigers, Elephants, Rhinoceroses, Buffaloes, Leopards, Zebras, Wildebeests and many others. I read an article that made me sick to my stomach the other day about a 12-year-old girl trophy hunter from Utah who shamelessly shot and killed a Giraffe on safari. What makes these evil people want to hunt innocent, defenseless animals for fun? Gaia, please explain the soul contracts of trophy hunters. They have had past lives as hunter-gatherers and in this life they have the urge to do so again, but this time their egos get in the way as a desire to conquer all. Obviously, these are young souls that have yet to learn to respect and love all life on Earth. They will have future lives where they will work hard to conserve the very animals they are killing for sport this time around. And, yes, as you thought, they will have lives where they will lose their lives to wild beasts. You can even see this balancing in the present time as there are those who fall victim to all sorts of wild animals, from reptiles to bears to lions and so on. Those are balancing lives where they live in order to atone for past lives when they simply killed with no other thought but to add another head on their wall. Danielle writes: I absolutely love following you on Facebook and your newsletters are incredible. Could you ask Theo again about JonBenét Ramsey? I know back in 2010 he said he couldn't give any details at that time. Would you be willing to ask if he can at this time? With all of the renewed interest and media articles, I'm sure so many would be interested in his commentary. 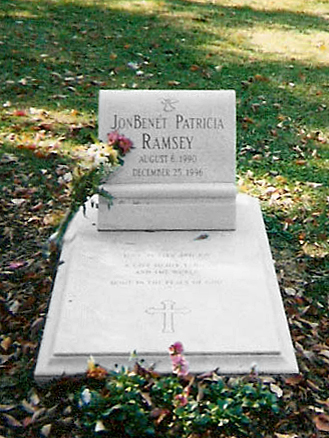 Theo, now that there have been advances in investigative methods and equipment, what is the probability of there being an arrest in the JonBenét Ramsey case? Yes, I wish I could say that there will be, Tom, but there are soul contracts at play here and the case will not proceed any further than with the current speculation. The killer covered his or her tracks quite well. So, for your purposes, the probability would be less than 10%. Mantej in the UK writes: Stanley Kubrick made the film 2001: A Space Odyssey in 1968. Theo said that Stanley Kubrick had a life approximately a 100 years in the future prior to this one. So, these questions are about the ideas/observations from his life in the future that inspired his film made in 1968. (1) Was the "Starchild" in 2001: A Space Odyssey just a creation by Kubrick and his guides or does it have some significance of something he saw in his future life? (2) In 2001: A Space Odyssey, the Moon has been colonized by humans, so what is the progress so far of the colonization of the moon in the prior lifetime Kubrick had in the future? (3) Theo said that "it will be easily 50 to one hundred years before a truly large colony of people will be formed to travel and populate Mars." So, since Kubrick was alive in that future, why didn't he include the colonization of Mars in the film as he did with the moon? (4) Are people able to have logical conversations with their computers in the future like what Kubrick depicted in the film, with the characters talking to HAL, the ship’s computer? (5) Three people on board the spaceship in the film are in suspended animation. Is suspended animation a reality in the lifetime Kubrick had in the future? Theo, was the Starchild in 2001: A Space Odyssey just a creation of Stanley Kubrick, or did it point to something 100 years in our future? You could say there was just a little truth there, but mostly fiction. Why did Kubrick focus on a moon colony, instead of a Mars colony, as I was told the moon colony would be quite small? Yes, for him, at the time he did this film, the moon was a “hotter” topic you could say, so his writing reflected that. One hundred years in the future will there be a colony on the moon? Yes, but, again, a small one in comparison to the efforts made to colonize Mars. There will be many more exciting discoveries there than on the moon. Do people have logical conversations with their computers as they did with HAL? Quite so; that is already coming in your present time and will greatly increase in the next 100 years. Is suspended animation a reality 100 years from now? There will be progress in this area, but more for those with diseases. DID PAUL MCCARTNEY DIE IN CAR WRECK? Dennis writes: Can you ask your guides if Paul McCartney really died in a car crash in 1966 and William Campbell took his place? Clues were put on Beatles records about Paul’s death. Theo, did Paul McCartney die in a car wreck in 1966? Absolutely not, Tom. This is another one of those conspiracy theories invented by someone with too much time on their hands. He is the same man today that he was in 1966. And he is no walk-in either. His soul contract from the start was to write songs and perform, for even a few more years, before retiring. He is loved by millions of fans.